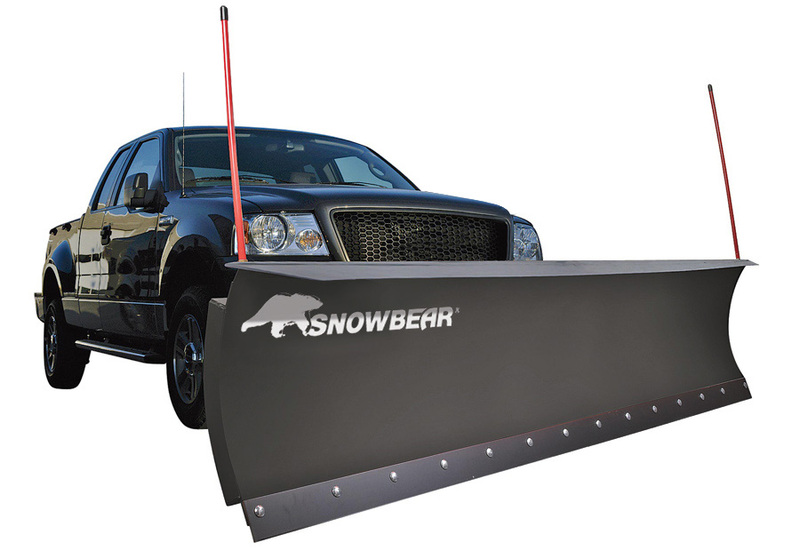 Available in 3 blade sizes: 82",84" or 88"
When you attach a SnowBear Snow Plow to your truck, your neighbors will look on with envy as you clear your street and driveway without breaking a sweat. 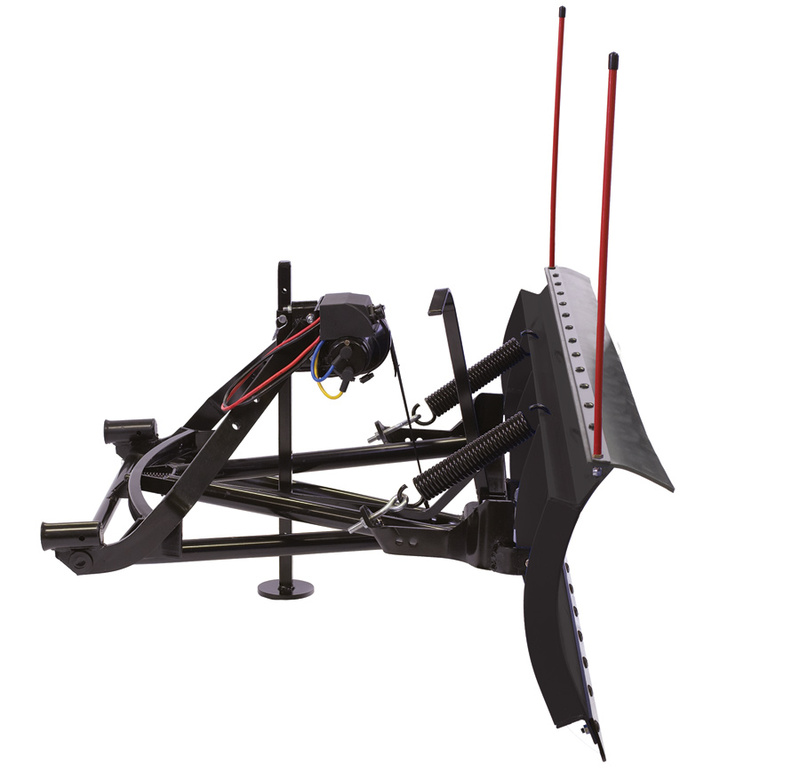 This plow attaches to your truck using any 2" front mounting hitch (sold separately) and costs as much as a snowblower but with the added benefit of complete mobility. Unlike a snowblower, you can easily clear nearby streets in addition to just your driveway. 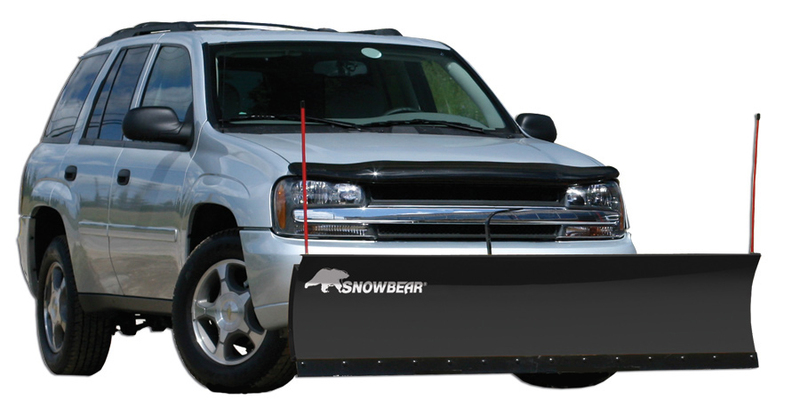 This SnowBear plow is engineered for personal use, making it a cost-effective solution to snow woes. Plus, it's constructed to be the ideal weight for day-to-day personal plowing. The plow's electric winch - which hooks up easily to your battery - allows you to raise and lower the blade from the comfort of your cab. The plow's heavy-duty tension springs absorb impact and protect the blade when you inevitably run into a hidden object in the snow. The plow also features a built-in deflector that keeps snow from obstructing your visibility. With the SnowBear Snow Plow attached to the front of your truck, roads and driveways are easily cleared from even the heaviest snowfall. Winter won't stand a chance. Backed with a 1-Year Warranty. We currently do not have any FAQs for the SnowBear Snow Plow. If you have any questions, email us at [email protected]. 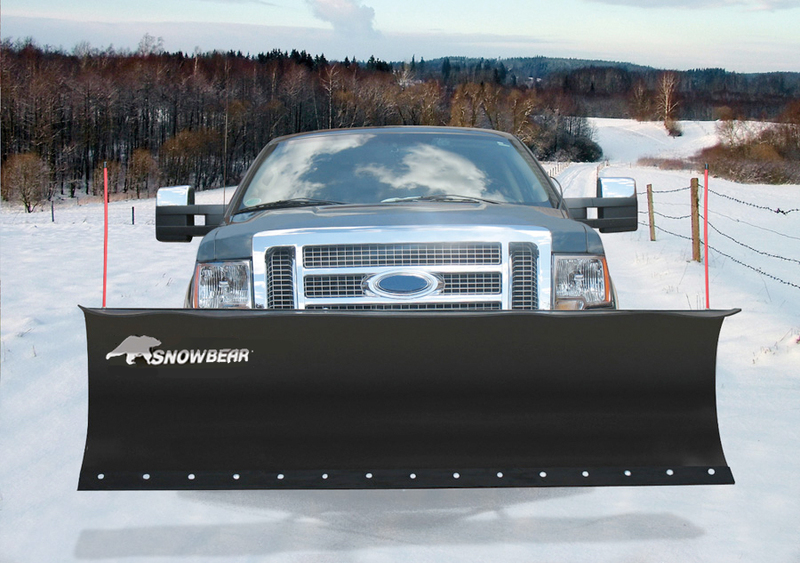 The SnowBear Snow Plow features a 1-Year Warranty. John S from Cape Elizabeth, ME, who drives a Toyota Tacoma. Plow is mounted to a 2015 Tacoma Sport. Installation was a bit more involved than I was expecting... easy but a bit more involved, hence the 4 stars instead of 5. I'd estimate the total assembly time to be less than 4 hours. The receiver mounted easily and looks good...not too obtrusive. The plow assemble was easy, but did involve some drilling and did take a bit more time than expected. Fortunately, a new bit and soft aluminum made it quick work. The quality of the plow is excellent. We had our first snow fall and I was able to use the plow on the driveway. Plow is easy to use and works well. Mounting and unmounting takes about 5 minutes. I find it easier if I take the plow blade off. Nathan B from Altoona, WI, who drives a Universal Any UNIVERSAL. The plow seems to be very high quality. I haven't used it yet but I'm optimistic. The install is another story. Several of the welds prevented proper assembly and had to be cleaned up. The wiring included with the winch was too short to put the control box in a good position and I had to replace that with longer ones. Once the install was done, it easily comes on and off the truck with little effort. Overall, I would recommend. High quality for the price. Just takes some problem solving to get it together. Charles W from Golden, CO, who drives a Universal Any UNIVERSAL. Haven't used it yet but it seems like a good plow. Everything works on it. All the parts were in the box. Grant K from Apple Creek, OH, who drives a Universal Any UNIVERSAL. Works like a charm, exactly as described. It did take a while to assemble. Two dudes and two hours all told. But once you get that done it's a good plow. Robert S from State College, PA, who drives a Universal Any UNIVERSAL. Great product. Looks great and works great. Recommended. Vance O from Boise, ID, who drives a GMC 2500 Series. It took a while to do but mostly satisfied, plow sits too much at an angle for my GMC 2500 diesel so I may need to get a drop down kit but all in all I'm still very happy. I still was able to plow with it. Carrie B from Somers, CT, who drives a Dodge Ram 1500. I surprised my husband with this plow and he is pleased. His friends now want the info to buy plows for themselves. We haven't had any real snow yet but we're excited to see how it goes. Dave T from Demotte, IN, who drives a Universal Any UNIVERSAL. Strongly built. By myself it took a whopping 5 hours to put together though. But I recommend it as a plow. Melissa E from Prague, NE, who drives a Chevrolet Silverado Pickup. We'll see how well it works once we have a good snow, but so far it looks really good. It took my two sons seven hours to assemble and it shipped in three boxes. I'm rating a 4 overall until we see how it performs. Trey B from south hampton, NH, who drives a Universal Any UNIVERSAL. Perfect snow plow for smaller trucks or SUVs. I would definitely recommend the Snow Bear to other.